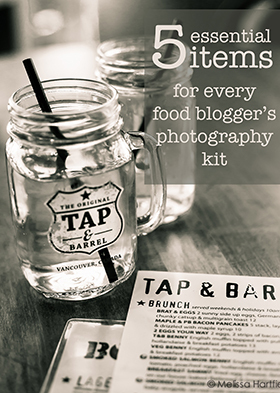 Summer is a wonderful time for food photography and food bloggers. The light… oh the light! 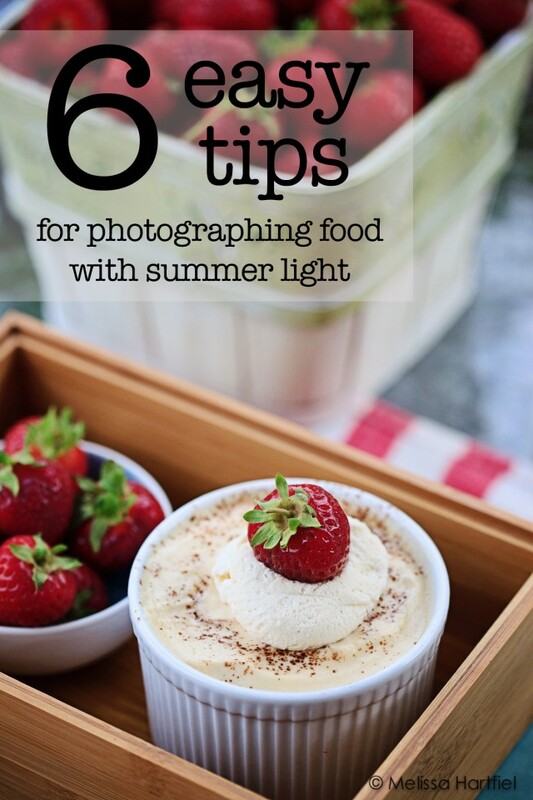 Here’s 6 tips to get the most out of summer’s light for your food photography. 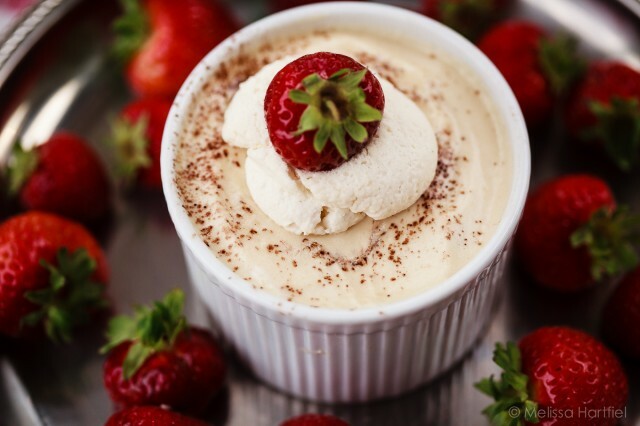 For food bloggers, winter can be the bain of our existence. Photographing dinner at 3pm just to catch the fading light isn’t really great for anyone. 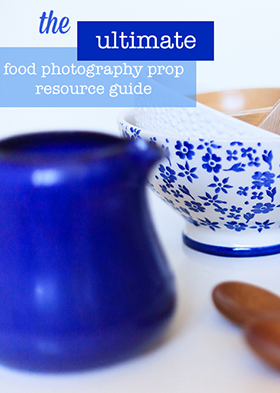 Gloomy days, rain, snow, sleet and cold can make even the middle of the day a challenge for photographing your favourite dishes. But summer… oh summer… it’s a wonderful breath of fresh air and seemingly never ending light. Dinner at 7pm? Not a problem! Shooting outdoors? Easy peasy. Set up a picnic, a bbq or a table full of frosty drinks and away you go! Summer can mean harsh light and that creates harsh shadows, glare and reflections galore on cocktail and beverage glasses or jars of jam and jellies. Keep a white sheet handy. You can pin it to your window blind or curtain rod to act as a make shift diffuser. You’ll still get loads of great natural light but it will be softened to help with shadows, glare and reflection. 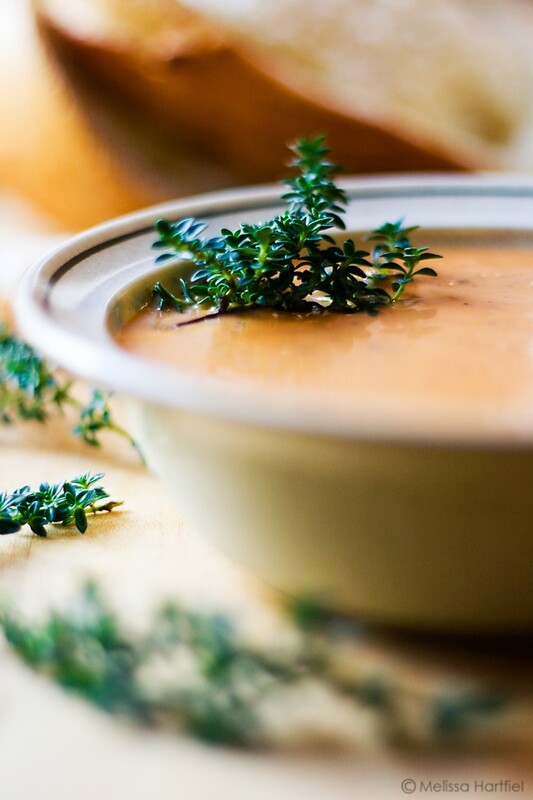 The photo of the tomato soup was done next to my kitchen table with the a simple diffusor to the left to make the light softer. Avoid photographing outdoors at the height of the day – between 11am and 2pm. This is when the light is at its harshest. Not only do you get a lot of glare and harsh lines but it’s difficult for your naked eye to see. That’s why we wear sunglasses! The photo above was shot at about noon on a hot July day. The unedited photo is flat, the colours have no saturation. The edited version brought out the colours but also blew out was left of the sky. Neither image is good. 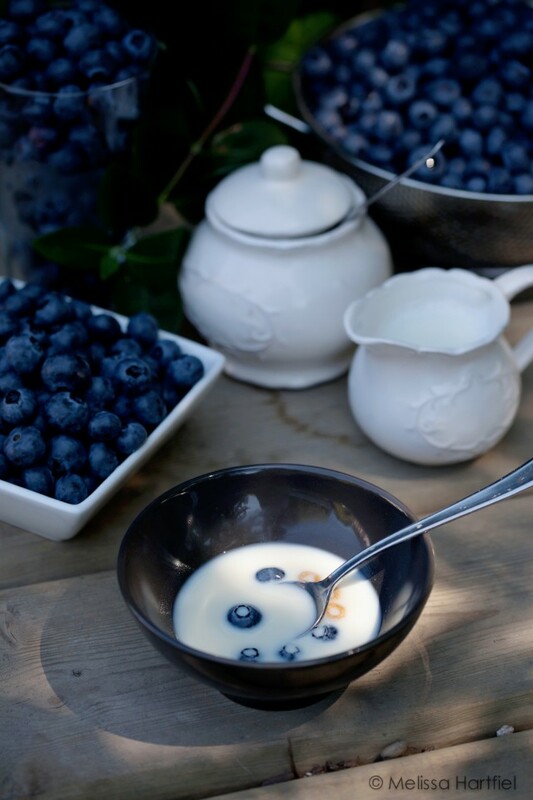 While a grey overcast day isn’t much fun during summer it’s nearly perfect for photographing food outdoors. The temperature is still warm enough that you can be outdoors and… there’s no shadows!! No shadows and minimal glare on dishes and glassware. These are my favourite days to do an outdoor shoot. I almost never need a diffuser or reflector. So pack up a picnic and head outside! 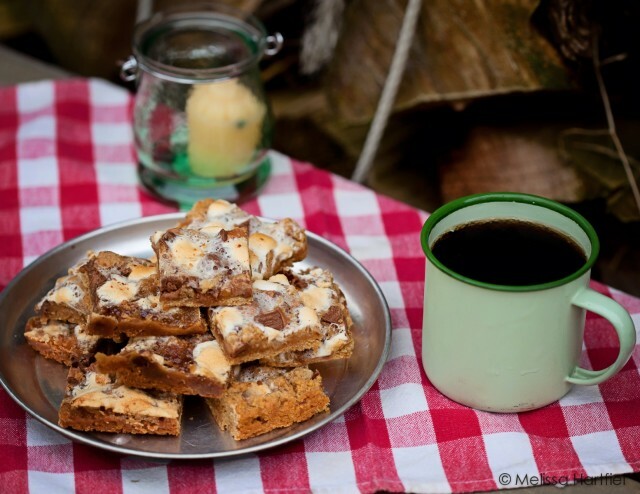 The S’more Mars Bars were photographed on a cloudy summer afternoon and it rained shortly after. But it was perfect for taking images – no shadows and loads of saturated colour! The reality is, most summer days are going to be bright and sunny. On days like this you’ll absolutely want to photograph outside if you can – just look for shade. Just like an overcast day does, shade will minimize shadows and glare and you’ll be able to see all the colour nuances and saturation in your scene without having to add them in post processing. The shade helped bring out the saturation in the blueberries but you can tell by the dappling of the shadows that it was a very sunny day when this was shot. 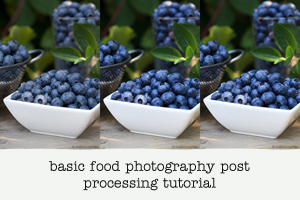 I used this shoot to photograph my Basic Food Photography Post Processing Tutorial. I find more than any other time of year, summer is when I really need to pay attention to my camera’s white balance. Whereas in the winter I can usually leave it on auto unless I’m stuck with awful indoor lighting, in summer I really have to make sure I’m checking my white balance regularly. Photographing in shade usually requires the “cloudy” or “shade” setting. The cloudy setting gives the most warmth. But even in regular daylight I will usually use the “daylight” setting. You can adjust the setting in post processing but why add an extra step when it’s easy to get right “in camera”? 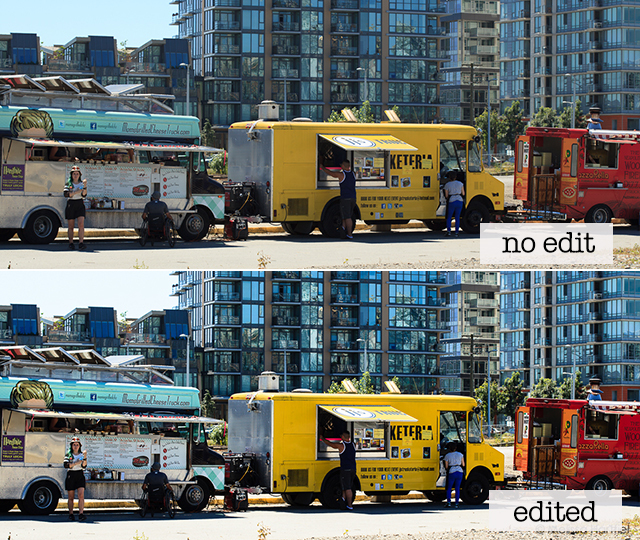 These are the same image – the top is straight out of camera where I forgot to set my white balance and photographed on auto. It looks cold. The second image had the White Balance adjusted for daylight in Lightroom. See how it warms up the entire photo? 6 Pack a portable dual reflector/diffuser in your bag. If you’re heading outside to photograph, pack a dual reflector or diffuser in your bag. You can get some great ones, like this 5 in 1 from Inerfit (affiliate link), that fold up nice and neat and can fit in your beach bag or a summer tote. They can diffuse harsh sunlight if you have no choice but to take photos outside at the height of day but, they’re also really great for reflecting light at twilight when you’re eating late at a BBQ or cookout. Some of them pack up so small that you can easily carry two if you want to diffuse and reflect or bounce light at the same time (you might need a second set of hands to help you out though! 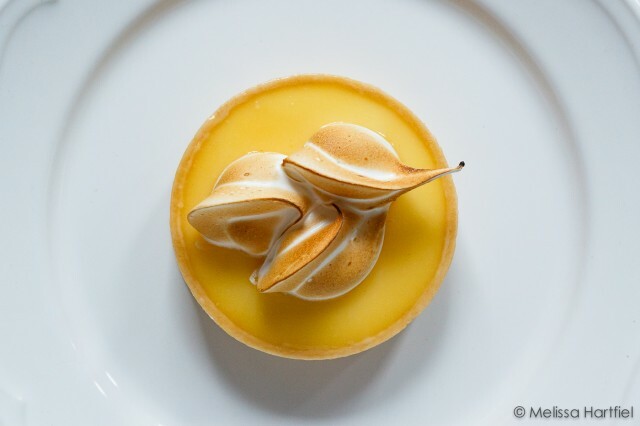 Using a portable reflector that was put in front of the tart helped minimize shadows and bounce light back on to the tart. 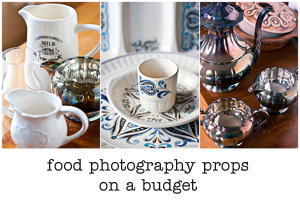 Now it’s time to get outside – pack your camera, a good lens and a folded up reflector into your bag and pay attention to where your light is coming from and make the most of this all too short time of year to photograph your food! Very nice and interessting tips. I willtry them directly for my first “summer food shooting”.